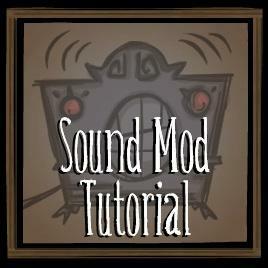 This tutorial will teach you how to create a mod which replaces a sound in 'Don't Starve'. For this tutorial, we're going to replace the 'rabbit scream' sound with a 'bird scream'. This tutorial requires:- PC version of 'Don't Starve' and 'Don't Starve Mod Tools'- The 'Sound Mod Tutorial' mod installed through Steam Workshop or on the Klei Forum downloads. Tutorial:All sounds in 'Don't Starve' are called events. To replace an existing sound event, we need to create a new sound event using the FMOD designer and then tell the game to use that sound instead. Let's get started! To launch the designer, Double click on the 'Don't Starve Mod Tools' in steam: Now inside the designer, browse to your mod folder and open 'sound_mod_tutorial.fdp'. Next click on the events tab and scroll down till you find the 'rabbit_scream' event. Right click on the gray area under the word play list and click add sound. Add the 'bird_scream.wav' sound from the mod folder. Press 'CTRL+B' to bring up the build menu and click the build button. You can now close the designer. Browse to the mod folder and open up a file named 'modmain.lua' in your favorite text editor. 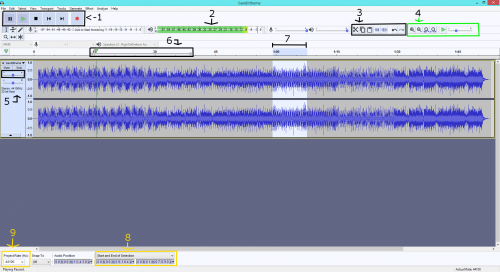 Remove the two dashes next to the 'rabbit_scream' line and save the file. Now start the game and go chase some rabbits! Remember to enable your mod through the mods menu. Happy modding! tutorial New Asset Tools: Animations, Textures, Sounds And Layouts! I don't really like gameplay tutorials since they often take 10 minutes of running around to show 1 minute of information. But I had hard time finding tutorial videos that simply show the gist of everything, so thought I'd make one myself, in a sort of 90s employee education video style (like Fallout 4 S.P.E.C.I.A.L video series). Unlike my Bet You Did Not Know, this is made purely for beginners, something I always wanted to do. 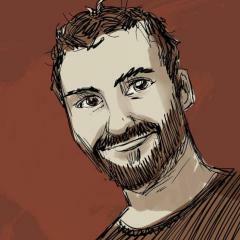 The Don’t Starve Mod Tools allow mod creators to upload their mods to Steam Workshop for other players to subscribe to and use. Getting the Mod Tools The Mod Tools are now available for Windows, OSX and Linux! Log into the Steam client using the account you wish to upload the mod with, this account must own a copy of Don’t Starve. Hover over “LIBRARY” at the top of the Steam client, and select “Tools” from the dropdown list. Find “Don’t Starve Mod Tools” in the list, and double click to install, or right click and “Install Game...” (despite the name, this only installs the Mod Tools)Uploading your mod to Steam Workshop Valve requires that you accept the Steam Subscriber Agreement before any of the Steam Workshop files you upload are visible to other users. You can install and use the Mod Tools to upload mods without accepting the agreement, however they will not be available to other users until you do. Updating Your Mod So you’ve fixed a bug, or added some new features, or maybe you just made a typo in the Description? You can easily update your mod using the Mod Uploader. Alternatively, you can edit your mod’s Name, Description and Tags on the Steam Workshop website, as well as add links, preview images or screenshots. Troubleshooting Common issues and resolutions for resolving issues with your mods.